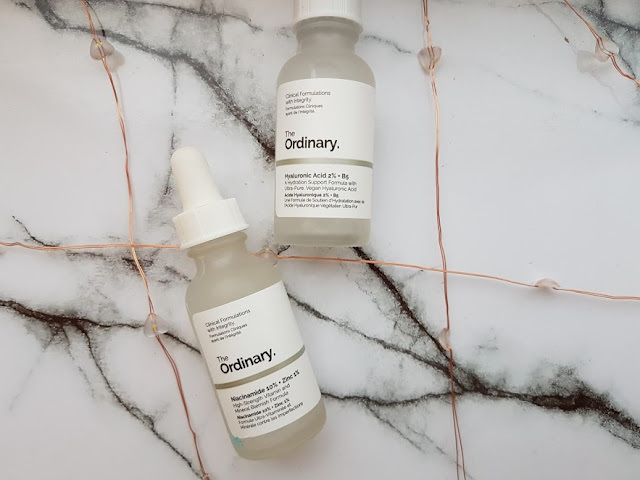 In case you haven’t heard of The Ordinary skincare yet, let me give you some background information. It’s an umbrella from the Deciem brand, and that just shouts quality and magic. 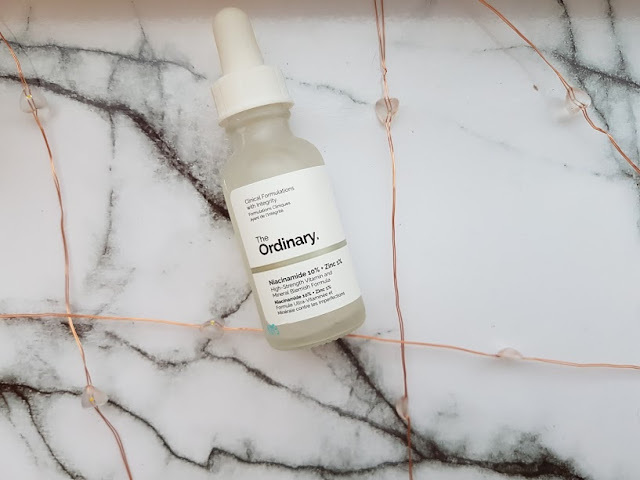 The Ordinary uses advanced technology and quality ingredients to market products at low prices. And low prices, means low prices their lowest price product is £3.90 and the highest is £14.90. For skincare that is incredible and quite magical. I've been playing around with two of their serums that target my biggest skincare concerns; dry skin and scarring. I've been using both these serums morning and night, in the morning it goes on before my mosituriser. In the evening, it is sandwiched between my toner and moisturiser. They work amazingly well on their own, but together a power duo. It all starts with the Hyaluronic Acid 2% + B5 which retails at £5.90. Its a serum that helps to restore the hydration in your skin yet is oil free - suitable for all skin types. The addition of B5 enchances the hydration in the skin and plumps it out. This is such a lovely formula, its lightweight, thin and instantly absorbs into the skin. 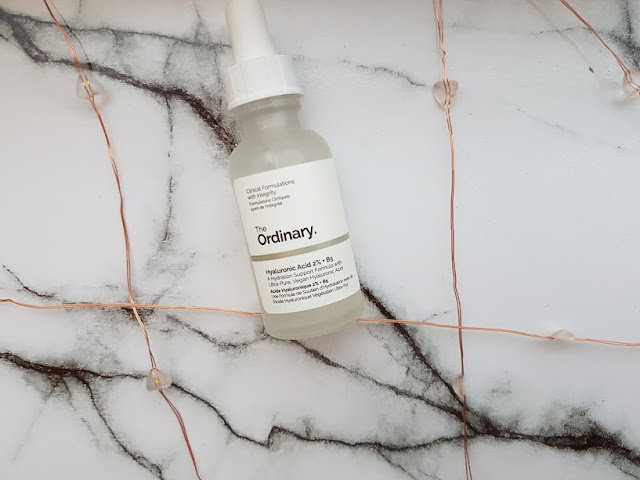 I'm prone to breakouts so the treatments that I use can be very drying, this as helped with the dry skin caused and revives the skin overnight without interfing with the treatment. Upon the first night and morning of using this I noticed an insant difference. Its crazy how something so cheap, cheerful and simple can change your skin around. My skin instantly felt soft, looked plump and all round amazing. The second serum that I have been applying on top of the first one is the Niacinamide 10% + Zinc PCA 1% which retails at £5.00. This has a slightly odd smell to it, compared to the first one which doesn't have a scent at all. This is the high strength vitamin and blemish kicking serum that has changed my breakout situation out in a matter of a few days. I'm not saying my skin is 'fixed' but the combination of both of these has improved my skin a great deal and hopefully using them for as long as I can will change it even more. The Niacinamide and Vitamin B3 is the magic potion that reduces the apperances of blemishes and blocked pores. 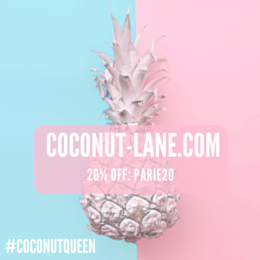 With the added Zinc it reduces the amount of sebum and thus creating a smaller pore surface. This serum is not a treatment for acne, but helps with the removal of marks and for me has worked WONDERS! I am so glad that I caved and bought both of these because my skin is loving it, they are inexpensive and great quality. If you haven't yet tried anything from The Ordinary, you must read up on them and choose products from that target specific issues for you. Next on my list is the Advanced Retinoid 2% which is targeted for acne-prone skin and anti-ageing.